I’ll keep this post updated as necessary, but here are some links you can add to your podcast app to keep updated on my various podcasts! 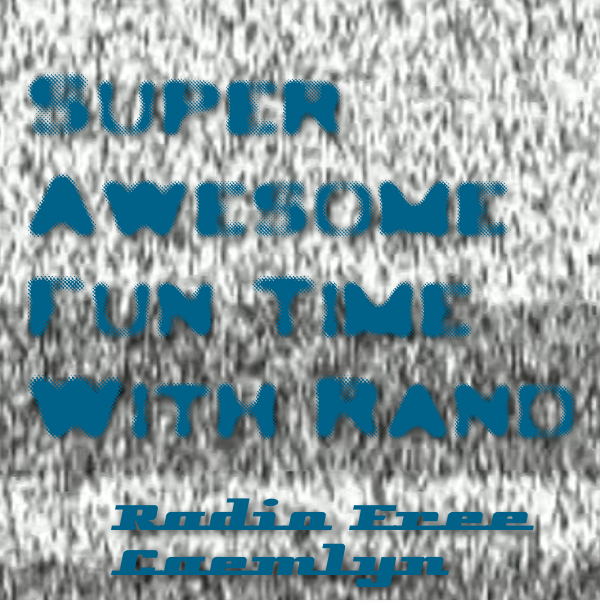 First is Super Awesome Fun Time With Rand, my sound collage series. Second is the main Radio Free Caemlyn feed. This is where all the live shows, such as Friday Night Trivial and Radio Free Caemlyn Project, are done. Third is Friday Night Trivial. As I type this there’s nothing there, but I plan on posting archives of the old Friday Night Trivia as well as the current Friday Night Trivial shows there. Next is Marble Operator, the podcast I did covering the YouTube series Marble Hornets, Dark Harvest, TribeTwelve, and MLAndersen. Continuing the trend of keeping things concise, here’s a directory of the Marble Operator archives. As of today, I’m beginning to put the newly recovered episodes over ion the Internet Archive. Last night, the first night of June 2018, I restarted my Friday Night Trivia series under a slightly new banner. My original title was Friday Night Trivial, but during last night’s love show, Ian the6thDoctor suggested the name you see in the blog title; I think I’ll go with that. Just like I have a post compiling links to my sound collages, here I’ll collect episode links. Latest entry in my sound collage series. Created on a rainy Sunday morning. Episode 23 of Radio Free Caemlyn’s Friday Night Trivial series. Lord Quizmaster, Rand, is joined by DaveAC, Ian The6thDoctor, and Megan MysteryM. Rounds this week include Famous Oklahomans, What’s the Difference, Notable Years: 20th Century, and This Week in Music History. This collage is based around a track called “Enceladus” by….well, I forgot to write down the name of the group. Layered along that are interior noise tracks from the BBC Sound Effects archive as well as audio from my earliest recorded “Radio Rand al’Thor” (what became Radio Free Caemlyn) episode. Episode 80 of my sound collage. Features Kirsty Hawkshaw, Alan Parsons Project, Beth Orton, and prank calls from Brad Carter. After a week off, Friday Night Trivial returns for episode 22. Join Lord Quizmaster, along with DaveAC, Megan MysteryM, and Ian The6thDoctor for trivia and shenanigans. This episode’s rounds include What’s The Difference, the Whatever Round, Rock Operas/Musicals, and This Week in Music History. I made two new collages this weekend (episode 78 can be found here and is called “The Light at the End”). This collage was an attempt at some sort of epiphany, the second part of what began with episode 78. It features Aphex Twin, Alan Parsons Project, Yaz/Yazoo (depending on which side of the Atlantic you’re from), clips from Hal Hartley’s “Surviving Desire”, and more. Someone sent me a message last night, and that message made me happier than I’ve felt in so many years, has me feeling that there actually is hope and goodness. It was just three words: “Miss you, friend”, but the person it was from, I was not expecting that. We’ve not spoken in years and I had convinced myself she was angry at me. But she isn’t. She never was. That was just a self-induced delusion. We talked for a bit, and we are still friends, even after all this time. It feels like a weight has been lifted from me. It feels like a great source of sadness is suddenly gone. The most important and closest friend in my life was never upset at me. She just had to move back home and we just lost contact. I’m letting this be a lesson to myself: don’t let myself believe these lies my depression tells me. Don’t lose my closest friends. They still care. They are still friends. I’m not going to let go this time.